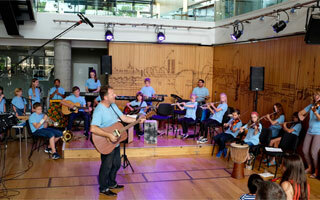 Orchestral Manoeuvres in the Park is for young people wanting to expand their musical creativity. 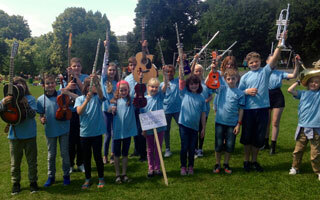 Bring your instrument along and join the orchestra! 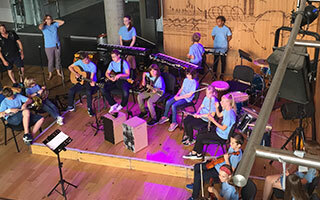 During the week we’ll be composing a brand new piece of music which we'll perform in a concert for parents and friends at the Colston Hall on Friday August 23rd 2019. Royal Academy of Music (Violin and Piano), Ex BBC TV Producer, Bristol Ensemble Preludes Team, peripatetic & private piano and violin tutor. Freelance music practitioner, Bristol Ensemble Preludes, Bath Philharmonia Creative Learning, choir director and accompanist, brass tutor. 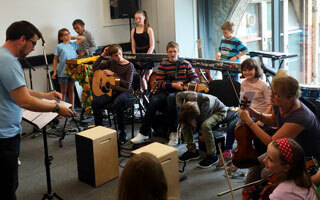 Plus music mentors and musical guests during the week. 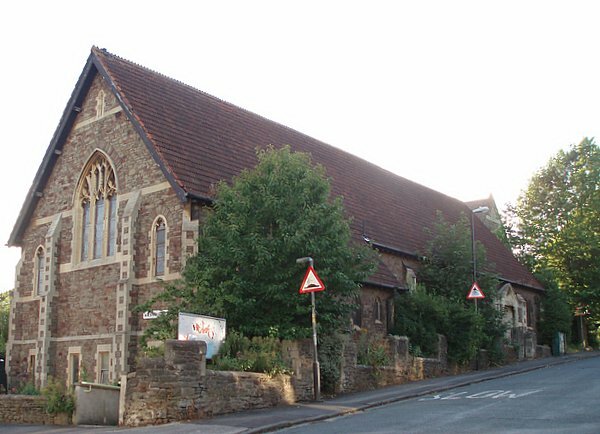 St Barts Church Hall is in St Andrews, opposite the beautiful and tranquil green space of St Andrews Park. There is plenty of parking available on the streets around the park. 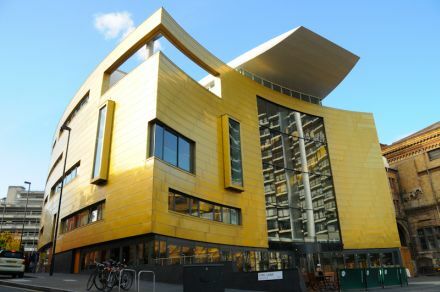 Colston Hall is Bristol’s largest concert hall, presenting concerts and entertainment by major names in rock, pop, jazz, folk, world and classical music, stand up comedy and light entertainment. Built in 1867 the building remains at the heart of cultural life in the city. The imposing and iconic foyer has made Colston Hall an architecturally significant and striking addition to Bristol’s skyline and befits the many fantastic performers who play here, including the OMP orchestra! Once you have filled out this form, you will receive an email from us regarding payment options. 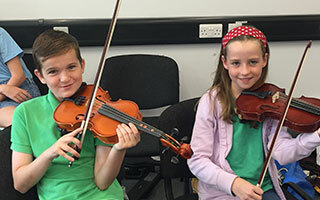 Anyone between the ages of 8 and 15 who plays an instrument and is looking to improve and broaden their music making in a creative direction. 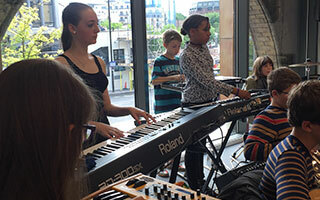 It is a great opportunity to play in a group/ensemble setting and to gain experience in performing. 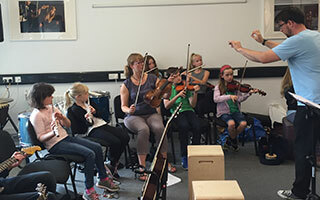 Your instrument and a packed lunch. What sort of music will we be playing? What is the structure of the week? The first 2 days we will purely be creating music. The rest of the time will be structuring the pieces properly, rehearsing them and performing them well. We will be based at St Barts church Hall in St Andrews but on the last day we will be at the Colston Hall all day. 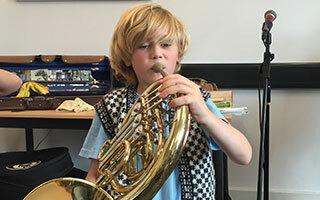 What standard do I need to be on my instrument? Ideally you will have been learning for at least a year. All levels are welcome and we will include everyone at the level they are. Hopefully we will all push ourselves a bit further! It’s less about how good you are at playing and more about listening well and creating an amazing sound together. Do I need to be there every day? Yes if possible as the piece will evolve throughout the week from your ideas and input. 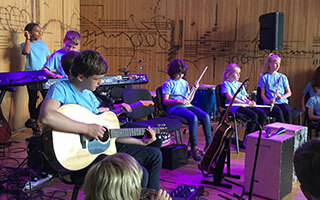 The final day will be spent at the Colston Hall rehearsing for a 2pm performance in the foyer space. Bookings will be processed once full payment has been received. No refunds will be available for any cancellations received after June 1st 2016. If you do have to cancel we charge a £20 administration fee. Orchestral Manoeuvres in the Park reserves the right to cancel a course in the event of unforeseen circumstances, in which case all money will be refunded.